As of 2012, China is on the rise. Beyond the world Expo of 2010 and the glorious home of 2008 Olympics, the country is boiling with technological and infrastructural development. This article gives my impression of motives and directions of technological development in Shanghai. I see the Chinese as both followers and leaders. I believe that an important trend fueled by the increasing individualism will concern new identities built through consumption and association to distinguished icons. This goes for the young, urban consumers, alike it has occurred in Japan, US and the rest of the developed regions. China has become famous for copy cat designs. Originality and high quality are not part of the picture. Everything runs with volumes, as it must with a 1.3 billion people economy. The smoky Shanghai region alone with its 23 million inhabitants makes a notable market. There are not many kind words to be said about Chinese design, if you can even talk of such. 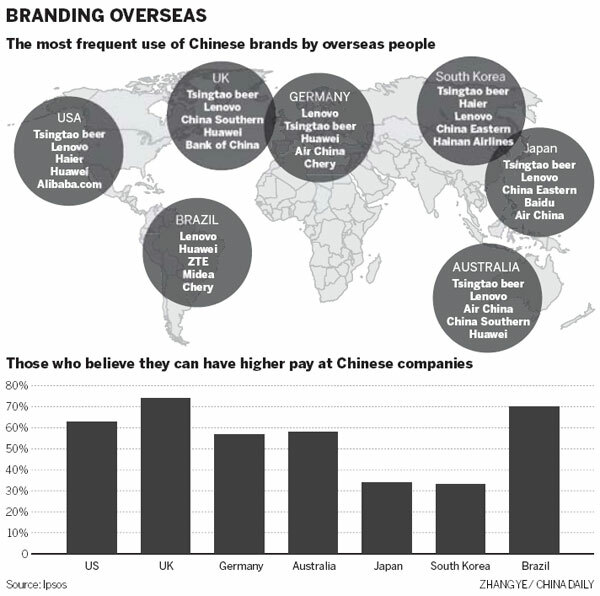 There are few brands of Chinese origin, maybe for the exception of Huawei, Lenovo and Tsingtao, the latter founded by English and German entrepreneurs. For me, the surprising moments with Chinese design come from small practical features. That is, adaptations to existing, foreign design, sometimes called incremental innovations. There clearly is adequate engineering skill to build things with unique Chinese characteristics from the scratch, but the emphasis in design is on function. I find lot of the local design lacking in the qualities of traditional, visual design. If a Chinese design works, usability is not usually a major issue, but beyond that, considering the emotions evoked and meanings associated with design, this level seems non-existent. Taking an example from my favorite area, interactive products, shows the Chinese have done a lot. While Internet is just recently getting more accessible in the republic (30% of people connected, for 2011), it is well known that the nation is well-protected from outside influences by the Great Firewall of China. In addition to blocking services such as YouTube, Facebook, and Twitter, government issues temporarily blocks to Google as well and has informed American search companies about the appropriate search results. Given this background, it is easy to understand why the Chinese have effectively built their versions of these Western services. Renren.com stands for Facebook, Baidu.com for Google, Sina Weibo and Tencent Weibo for Twitter, Youko (+Toudou) for Youtube, Douban.FM for Last.FM radio or Pandora, QQ for ICQ, Taobao.com for Ebay, Dangdang for Amazon and so forth, all funded by commercials, but supervised by the government. Some of these services are sometimes accused of piracy. For instance very popular Baidu’s MP3 search and its associated Ting social music service (rhymes with Ping) do still serve shady music downloads. But surprisingly, they have made a deal with the big American record labels, so at least some royalties go to the benefit of Lady Gaga. How are these services designed? The designs are functional and the interfaces look like late 90’s. Here and there you can spot practical new features that make them distinct from their foreign counterparts and many locals like them thus better than the originals. Copying interfaces is not surely a uniquely Chinese habit. Just consider the different search engines, or the original looks of Spotify music client, interface has solutions have for long been free game. So for now, there does not seem to be much demand for differentiation through design, although that time may well still come. I interviewed an American expat Chris Hosmer who runs an office of Continuum Innovation in Shanghai. He describes the spirit of Chinese design efforts as “always improving, always incomplete.” (read his excellent paper Living in Beta here ) Doing any change concerns improving, making things better but not striving for the best. The outcome is that everything is its own prototype. Driving ideology is to building everything fast before someone else does it. So it can soon be torn down, constructed again somewhere else with minor improvements. This is pretty much in the spirit of design thinking, trying, failing and revising quickly. As soon as it seems good enough to somehow stand out, you put it out and see if it sticks. The result of this approach, when it comes to the architecture and outlook of Shanghai and its residents, is a mess. Although the visual extremes of Tokyo and Las Vegas are not achieved, everything seems to be thrown together without too much consideration for the whole. It is somewhat absurd that a nation so tightly under a central control and an ideology of stability builds its public figure in a totally chaotic, self-organizing manner. This pretty much how people behave as well. The criminal laws are pretty tough, the legal system questionable and capitol punishments in place, people take the few degrees of freedom they have. You could say that the nearly permanent smog covering city is installed to disguise the small mischief from the ever watchful eyes of the government. There are some unique designs, novel concepts to be discovered in Shanghai. Public transport, taxis shared electric payment card, high speed trail network, food culture. The feeling is eventually quite Western although with a certain Chinese flavor. The new technologies introduced in China have the benefit of volume. As Josef Stalin presumably put it, quantity has a quality of its own. Putting out a small fire can quickly grow to consume great areas. But there are many ways to grow and it seems that quantity alone is not enough. The Chinese companies and businessmen are naturally interested in developing innovativeness. But it is not so clear if the Western wisdoms of innovation management, human-centered design or design process are so easily applicable in the local environment. Or if they pay off. Many western companies have already found that traditional methods of branding provide little return on investment here, as customer loyalty is not quite the same as in the west. But this is not to say that the brands are irrelevant. Why else would the local shops produce copy cat products under copy cat labels such as Konka (Nokia), Charmy Kitty (Hello Kitty), HiPhone or Paoaseoic (Panasonic). And that was just the tip of the iceberg (see China Mike). More examples would be available in Simplified Chinese symbols, hinting to whom these variations are directed to. The products do not necessarily bear close resemblance to the western manufacturer offerings, but there is a clear hint of a brand association, possibly trying to communicate that this thing is almost the same as the paragon. As a merit of the great country, it must be said that they have bravely decided to skip certain steps in technological development for the common good. Electric bicycles, or scooters are one example. Instead of letting the city drown in two-stroke engine fumes, Shanghais dominantly drive “green” vehicles silently along the streets along with specific guidelines, such as their own traffic lights, governing their motion. Bicycles, once the spine of the country’s transportation, are fortunately also still used. Another notable area is telecommunication. Instead of building on wide telephone network, there are multiple options of wireless operators. These reasonably priced options provide 3G, even HSDPA, connections, although with a very variable quality of service (still putting Americans on shame). It would be impossible to understand the technological change in China without trying to understand the local culture. Few careful words about the Chinese mentality. The nation is officially governed by a five year plan set by the Party. The non-democratic governance consists of one party, the Communist. That does not mean that there is a single opinion on the country. However, the official communications do their best to ensure that the people continue belief in the system and its efforts towards the good of the nation. This happens largely through the principle of stability. Unlike the ancient Romans, the Party wants to keep the nation united. While reforms steadily take place in the country, changes must remain under control. The flavor of capitalism practiced in Shanghai is by far not the easiest one. Foreigners have to deal with multiple issues when entering the neighborhood. International companies may find it difficult to play along the rules and maintain a degree of moral good. Washing your hands is easy, and unfortunately at times necessary. Individual travelers have to steer clear of the customary tea party, art gallery and massage parlor scams (more from China Mike). An old Chinese proverb “foreigners are easy to fool” (老外好騙 Lao Wei Hai Ping), remains a guiding principle in too many affairs on both micro and macro level. Learning the Chinese way to haggle (start at least 90% off the price) is easy to learn but reminds you that fixed pricing does indeed improve the overall economy. But here, everyone just wants to make it fast. At all levels, money makes things go around and people are willing to bend the rules for their benefit if possible. The official regulations and local practice are sometimes highly contradictory, for instance in the case of counterfeit product retail and widespread prostitution. Or maybe the latter is just another official unofficial mechanism to maintain stability in the land of male dominance. There is a ratio of 1.05 for men:women 15-64 years of age according to 2010 census, but the future looks troublesome as the same number is 1.13 for kids under fifteen. This lack of values makes China seemingly easy to penetrate. The common language and the shared code is the renminbi, pronounced yuan (Ą). While money can buy great promises, the delivery is made in Hong Kong. It seems worthwhile to ask if anything here is built to last. Buying real estate is as good an investment as buying a car in a Western country. After a few years, is best to get a new. In a few decades, the whole place will be torn down and replaced with a new building. Here they luckily charge heavily in licensing new vehicles to curb the traffic related issues, congestion over pollution. What does the future hold for China? It is without a doubt that all forecasts are telling that China will grow to be the most powerful economy of the world. It is greatly facilitated by playing on its own rules, some of those set by WTO. If it was not for the culture that does builds a unique individualist culture, but this will likely change. It seems impossible task even for the Chinese to shield the public from the Western influences, brands and popular culture. The mainstream culture will surely maintain its novel characteristics, different it may be across the country. I belief that Chinese brands and lifestyles will be born through consumption, even if it involves counterfeit products. For the Chinese, this is a matter of establishing stronger local brands, for Westeners, one can ask if it is better to collaborate with pirate product manufacturers for increased brand value than fight a war which currently cannot be won.